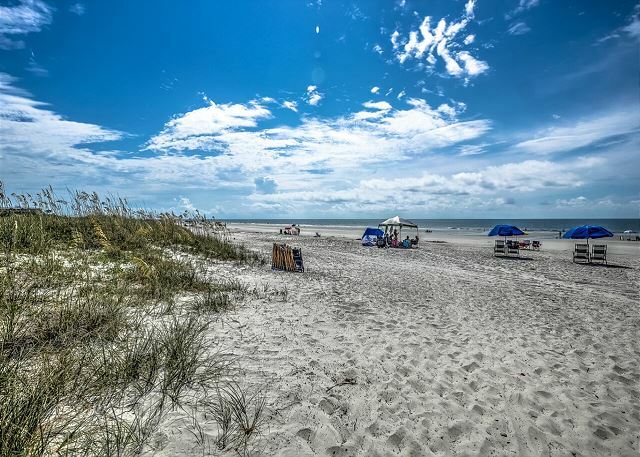 Best beach on Hilton Head, where you get your vitamin SEA!! 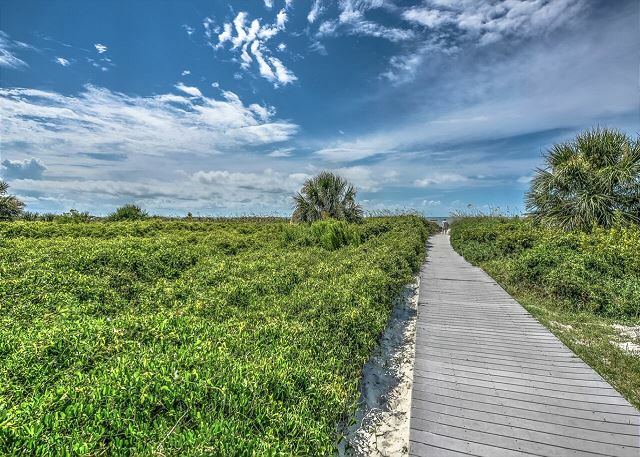 The pathway to paradise where you get your vitamin SEA!! Take some great pictures of your kids having fun in the fountain! 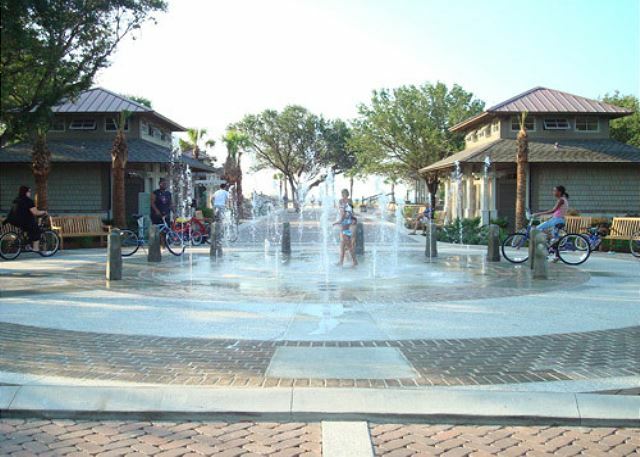 The Coligny Beach Park fountain which is fun for kids is just a five minute bike ride and a short walk. 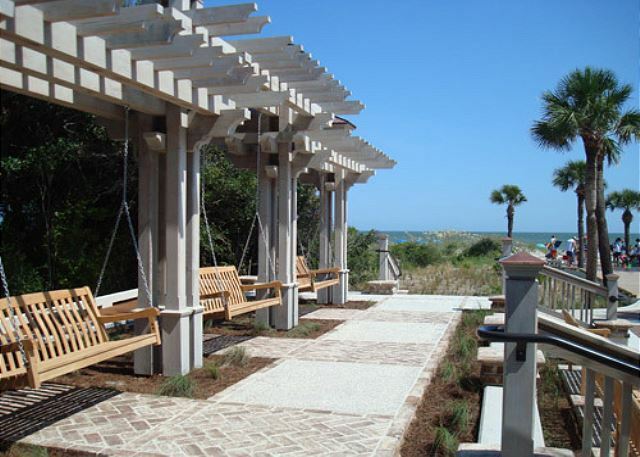 Coligny Beach Park has public restrooms with rocking chairs and bench swings! 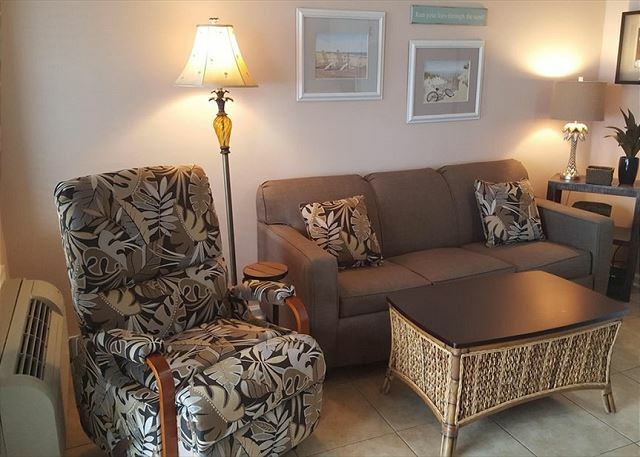 Recently renovated and beautifully decorated, this one bedroom, one bath offers wireless INTERNET access, expanded cable tv, and a GREAT oceanfront view. 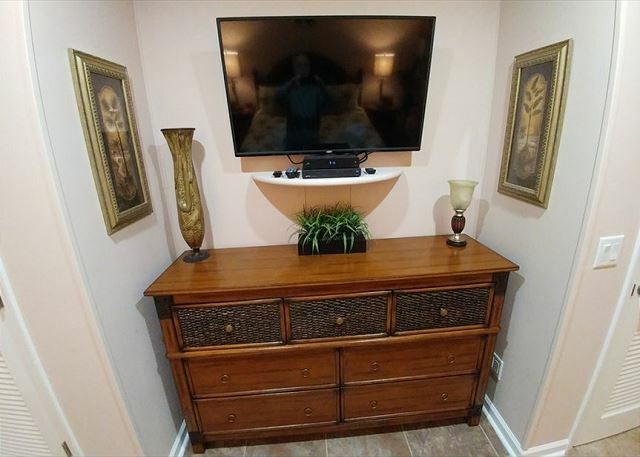 Nicely furnished private bedroom features a King Bed with TV. The living room is nicely furnished with a sofa sleeper and a large Flat Screen TV with DVD. The kitchen is fully equipped. Amenities would include an on-site pool and complimentary access to the Player's Club for use of their indoor heated pool as well as their fitness center. 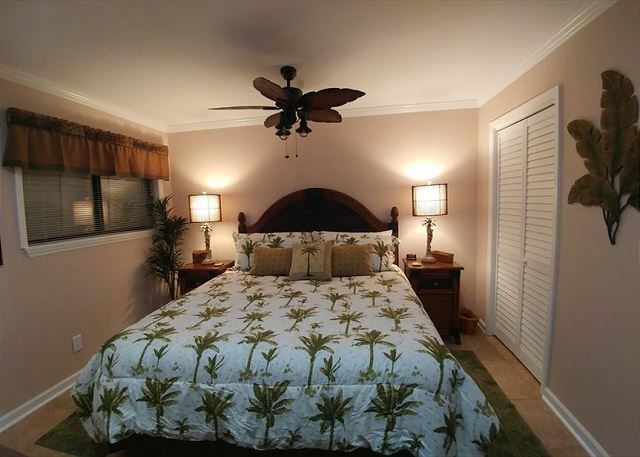 Rooms Sleeps 4, 1 Bedroom, 1 Bath, Oceanfront Seaside Villa, beach condo, kitchen, pool and health club. As usual, Barb and Johns's condo was clean and well appointed. We were so happy with the new configuration of the bedroom and king size bed. It was unusually cold this February, but it didn't deter us from spending many hours on the oceanfront balcony, watching the people and the dolphins. We love all the great restaurants on the island and will be looking forward to our next visit. Second time to stay in this unit at Seaside Villas. 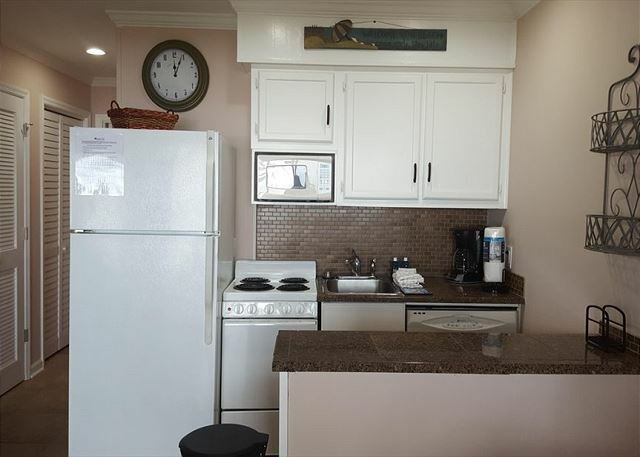 Excellent oceanfront view, well stocked, clean and quiet . 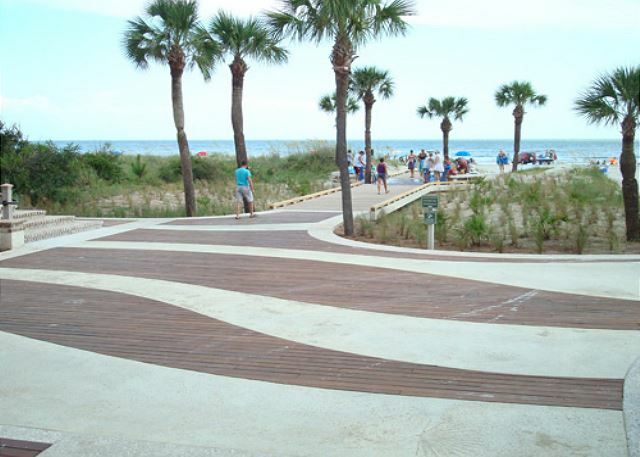 We have been renting condos at Seasides Villas since 1986. This vacation was our best yet. Weather and condo were excellent. Always a great stay in units owned by Barb and John. 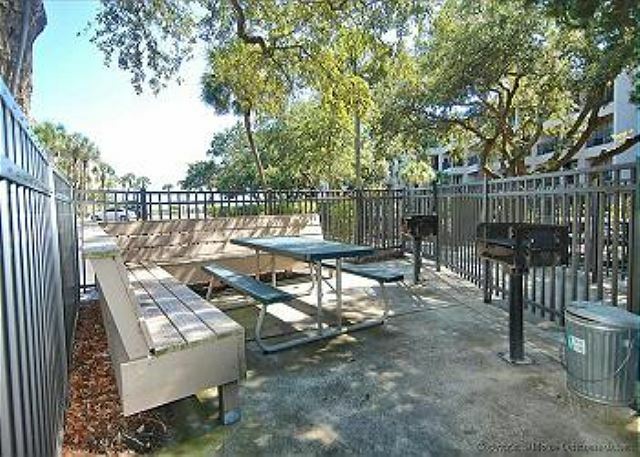 Great Time and unit is always very clean and stocked with everything that you need. We have stayed in units owned by Barb and John for a number of years and we are never disappointed. The condo is just as pictured. It is small, but has everything my husband and I needed. The owners and property management company are very nice and always give a quick response. I love the balcony view of the beach and being able to walk to restaurants and stores! The main complaint I have about the condo rented is the A/C location. In order to cool the bedroom you had to freeze the living room. Made it uncomfortable at times. Otherwise great place. Wonderful stay. The condo is close to everything. 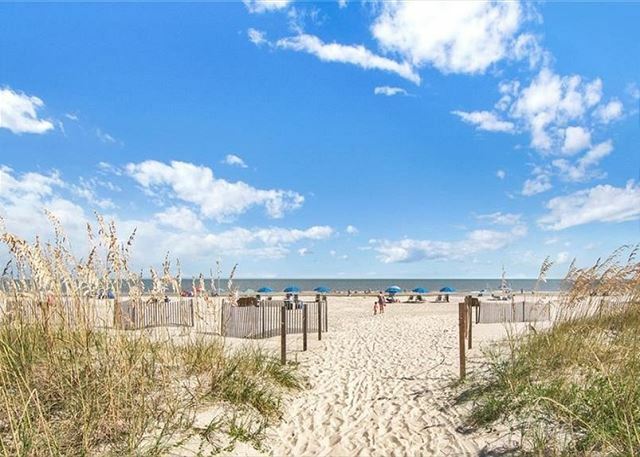 Coligny is fun..good restaurants, shopping,beach. Condo has everything we needed. This was the 2nd time we stayed here & we loved it! Great view from the balcony, close to the beach, nice swimming pool, & comfy bed. It is small but it worked for our family of 4 (2 adults & 2 nine year olds). 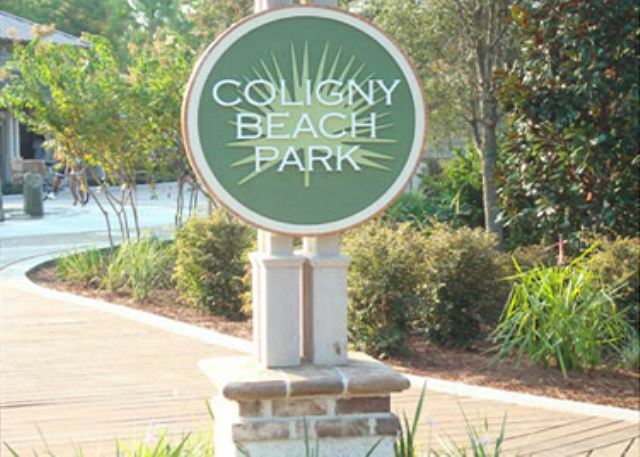 Plus, we were within walking distance of Coligny Plaza so that was great! The condo location is perfect - would rent again! Awesome!!!!!!! Always love my stay at Sea Side Villas!!!! Can't wait to come back!!! Nice place. Everything you need for beach experience. Walk to shops and restaurants. Bedroom a little confined and a little stuffy. I will return. We had a great stay. The place was immaculate and bed was super comfy! Balcony faces ocean view. The location is centrally located . Great access. Spectacular and romantic view of beach from balcony. You walk down stairs and out to parking area to beach. Walks on beach are heavenly.Excellent customer service by property service, they were wonderful. 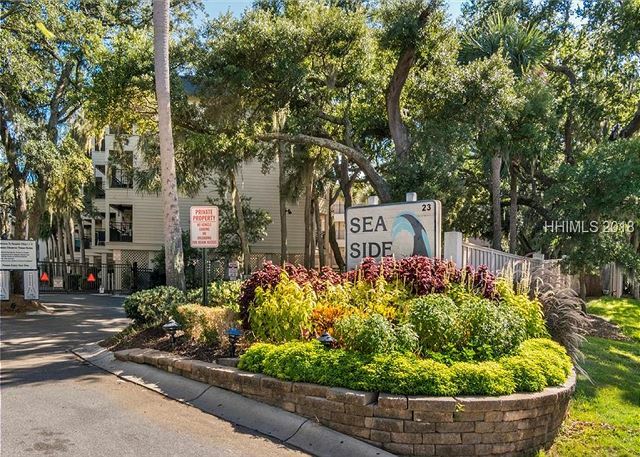 I rented villa 369 and stayed at Seaside Villas for the very first time in Hilton Head with my 85 years young, mom, and we both had an incredible visit. We would highly recommend this property to all of our family and friends that are looking for a cozy and incredible view the ocean. Although the villas are small, it was just enough space for a couple, party of two, or a couple with small kids, or if you are looking to travel solo. The view from the balcony well overcomes the small living spaces, and the dolphins playing in the sea was great to witness from the balcony. We will be back next November, and looking forward to another wonderful stay with an incredible view of the ocean. Seaside villa 11 in Hilton Head. Our stay was fantastic. Very clean, loved the tile floors, everything was there that was needed, even more so. The beach front was what we really needed. My husband is handicapped due to a ladder fall. He can manage the walk to the beach. The balcony was perfect for him while I did my walking. I would recommend renting from John and Barb. They were wonderful hosts, plus the management was really helpful. We really love that end of the island. Sure hope to go back again and stay in one of their villas. This was not our first trip to Seaside Villas. The condo was clean and pictures where accurate. The bedroom was a little warm, but there where fans to use. I prefer the layout of the bedroom, opened up to the hall. This one still has the two bunk beds in the hall and door to bedroom. The main reason I didn't give this a 5 star rating, is the sofa sleeper. We didn't use it as a bed, but it was VERY uncomfortable to sit on. We had a tropical storm that week and we spent a lot of time sitting on that broken down couch. But the best thing about this condo, is the view from our private balcony! It made up for the couch. We spent many hours, watching the ocean and the full moon. 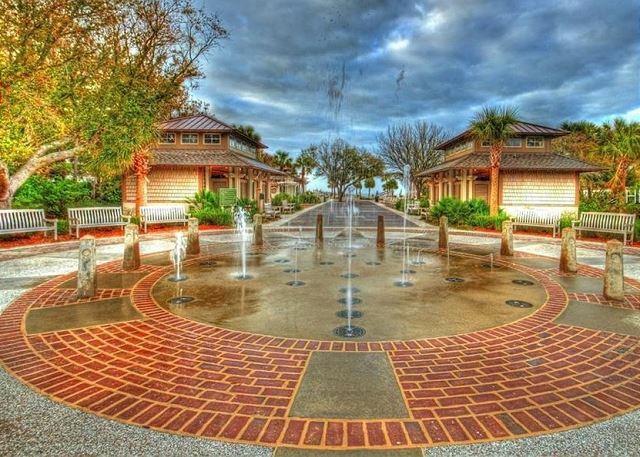 Hilton head has many great places to eat and the Jazz Corner, is one of our favorites! We had a great time at this complex. Building was clean and people were friendly. 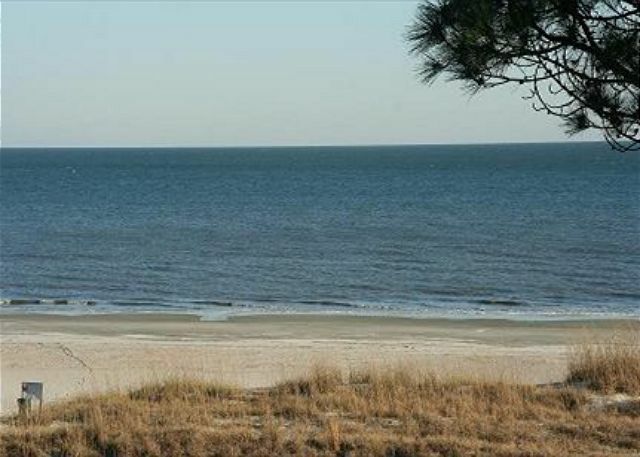 Great views of the beach and within walking distance of several nice places to eat and shop. Bike trails were easy to get on and you had lots of options as to where to travel to. 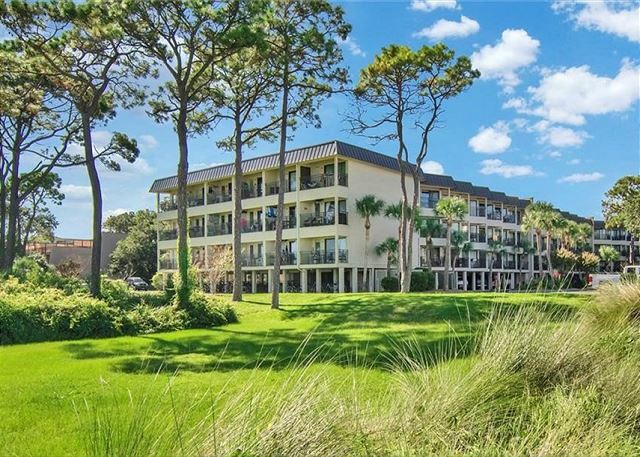 Comfortable condo, great location, beautiful view! Our only issues were dead remote batteries, bath lights burned out and bedroom floor wasn't the cleanest - perhaps cleaning crew could check some of these simple things, otherwise we enjoyed our stay here. Loved mornings on the porch! I've always wanted us to stay in one of the direct oceanfront villas. The view was incredible and we really enjoyed our stay. The only things I would note is the mattress really needs to be updated and I would highly suggest putting a password on the WiFi. It was fine during the morning or when we came in for lunch, but at night when most people were back in their villa, we are fairly certain other people were using it. It would become nearly impossible to use it. Condo unit has a wonderful view of the ocean. Unit is small and a bit dark as it is not an end unit. Bedroom is in the back of the unit so there is no listening to the ocean at night while in bed. Overall a very clean unit with all necessary kitchen tools etc. a minor issue was promptly addressed by the owner. The condo has a pool but no where near the water. Price is right. 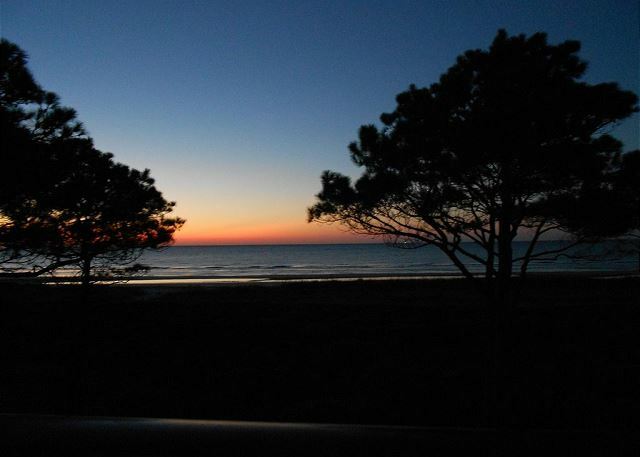 We had a very relaxing stay with great views of the Sunrise from this 3rd floor oceanfront unit. The unit had a well equipped kitchen, 2 flat screen TV's and WiFi. 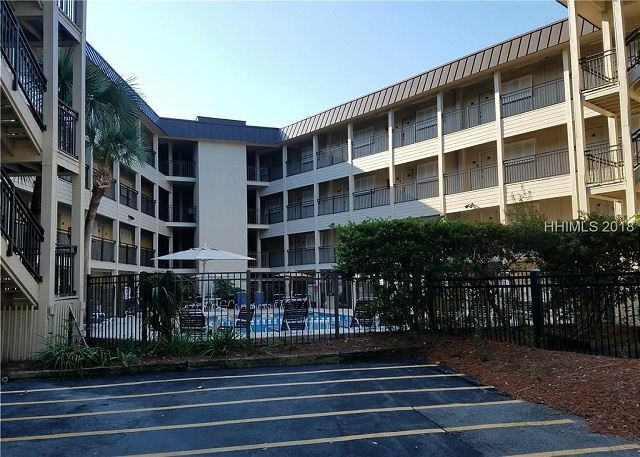 Conveniently close to shopping and restaurants. I could not be happier with the rental. It was clean, well equipped with linens & kitchen supplies & most importantly the view was amazing! My husband & I found ourselves just gazing at it for hours. Absolutely beautiful! My husband and I had a very relaxing and wonderful time during our second stay at this property in November 2015. Thank you! Sitting on the balcony enjoying the ocean is my favorite thing to do here. The view doesn't get any better! We have rented from seaside villas several times now and by far this condo and the one next door ( same owners) have the best view! The condo provides beach chairs and umbrella which is an added bonus. It is small at times for a family of four, but honestly the view more than makes up for it. The owners are so great to work with and really go above and beyond. We would defently recommend and we ourselves will be back! 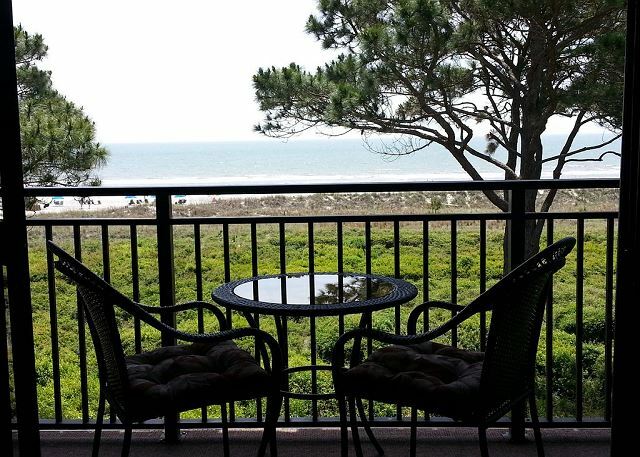 LOVED our recent trip to Hilton Head~Seaside Villa 369! This was my first trip to Hilton Head and I know it will not be the last! We loved the area, felt totally safe, had everything one could want to do nearby without it feeling commercialized. LOVED our accommodations! Our unit faced the ocean, so that even on the rainy days, we were able to sit on the patio and enjoy a beautiful view of the grounds and beach. 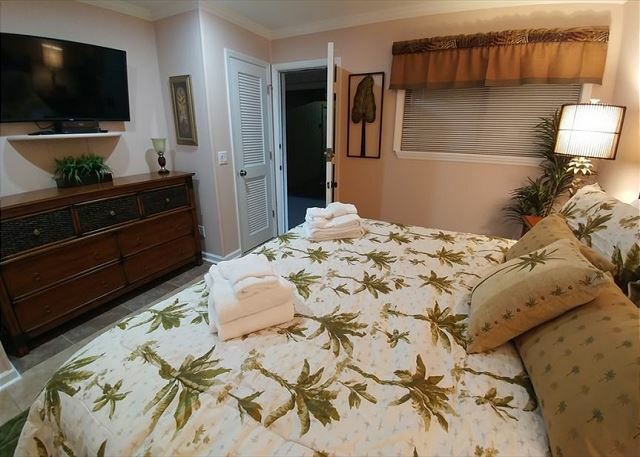 The property was very clean and had all the amenities that we were interested in. The owners were so kind as to email me ahead of our visit with detailed lists of all of their favorite area haunts and we enjoyed many of the places they recommended. The only thing I would change is to have stayed LONGER! Oh, and not have a hurricane bearing down. But that's it! WE LOVED IT! Can't wait to make plans to return! Enjoyed our stay and would rent again. Loved the ocean front view. Would suggest that you provide bicycles as a special bonus. Our stay was great! We will definitely go back next year. Great condo for a family with 2 young kids (7 years old)! The view from the balcony was amazing! Kids loved the bunk beds. It's a small condo but it had everything we need. We'll be back! View was spectacular. Villa was updated and very nice. When we arrived the air conditioner was not on. The heat was nearly unbearable and it took nearly 10 hours to cool down. Cleaning staff should leave air on if another rental is coming in. Vents in air conditioner were very dirty as was vent in hall that went in to the bedroom. Bathroom sink drained very slowly. The vacuum sweeper didn't work. Over all though, we had a lovely week and would come again. condo was as described, we loved it. The view was excellent!!! The bedroom however, was less than satisfactory. There is a window that cannot be opened and it felt airless. There is some sort of fan installed in the wall which we presumed was to bring air in from the front room, but it was to loud to sleep by. An excellent location. Lovely weekend in HH. 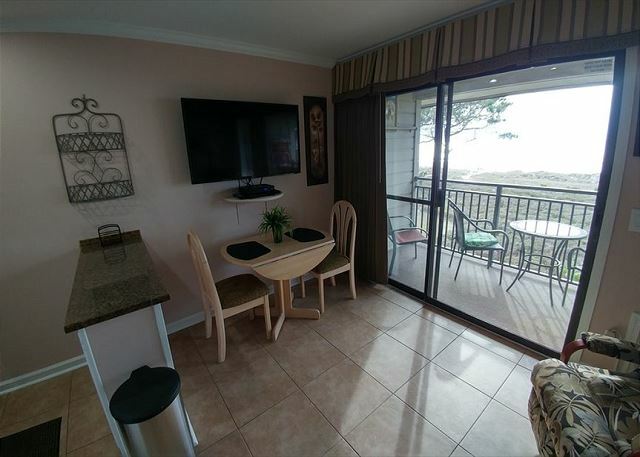 The condo had a wonderful ocean view and was convenient to walk to everything (Java Joes, Tiki Hut, supermarket, etc.). The kitchen was small but fully equipped. The bedroom was dark (one window onto corridor) but comfortable. The hall beds are NOT the size of real twin beds. They are only about 6 feet long and 2 feet wide. Definitely not big enough for anyone but a small child, as advertised. We borrowed their beach bikes to go to the Salty Dog (45 min ride). Lovely condo for 2 adults plus maybe one or two SMALL kids. Had a great stay, everything was exactly as stated by the owners. The owners gave us advice on things to do, places to go and eat, which also improved our experience. 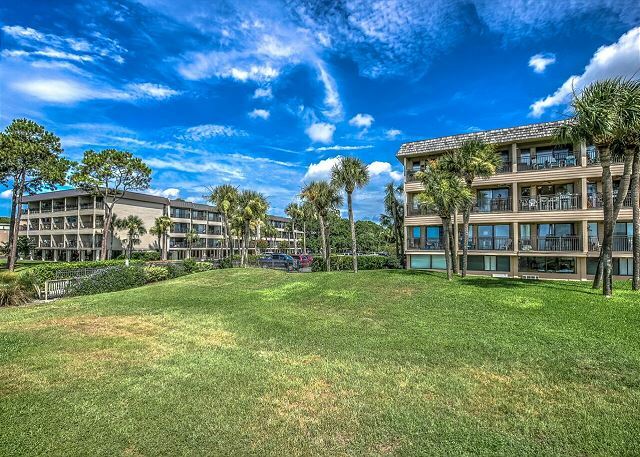 We will no doubt visit Hilton Head again and stay at this unit. I would rate this property an A+. The property was perfect. It was very clean and the kitchen well equipped. We were also pleasantly surprised to find a beach umbrella and chairs, and bicycles! Planning to return to the same property next year! The management staff were very friendly and accommodating. I would very much recommend this property. My girlfriend and I also used the complimentary membership at The Players Club which was also included in the week stay. We cooked some and enjoyed The Mediterranean Harbor Restaurant where we enjoyed lebanese food. Overall we had a very nice week with each other! We relaxed and spent a lot of time in the pool! We found that in the condo was perfect for the two of us. Our only suggestions are to have the balcony sprayed for bugs, we had a few visitors each night that made enjoying the stars slightly uncomfortable! Also, the silverw was dirty and there was only one garbage bag. Other than those few things, our week really was wonderful. We'll be back! After much research & thought my fiancé & I decided that we wanted to spend our honeymoon on Hilton Head. It was a great decision! No regrets here! Overall we had a great time at this rental. The location is perfect, you get a nice workout going up and down the stairs, the elevator was on the other side of building. The room is cozy, but we had four people and it was just fine. Our 18 yr old slept on the bunk bed and my 15 yr old slept on the couch, we used the top bunk for storage. The only thing I would change in the room is the living room table. Although it is nice, it's just too big for the small space. I moved it in front of the AC and it stayed there all week. It was great to have bikes to ride. One was fine, the other ones chain was so rusty I wouldn't let my daughter ride it. I didn't want it to "break down" in the middle of a ride. My parents had extra bikes at their condo, so I didn't feel it was necessary to call and complain. Just to be clear, I am not complaining at all about our stay and I would stay here again. It is a great condo! This was our first time visiting Hilton Head and we wanted to stay on the water. We were very happy with our stay, great location, nice cozy place, great views, and very quiet. The view from the balcony was too relaxing and encouraged us to be lazy and sit there and look at the ocean. We did manage to get up and out and ride the bikes provided and walk on the beach and loved the proximity to the beach and great restaurants. Very nice week. No complaints here. Thank you for a good vacation experience. 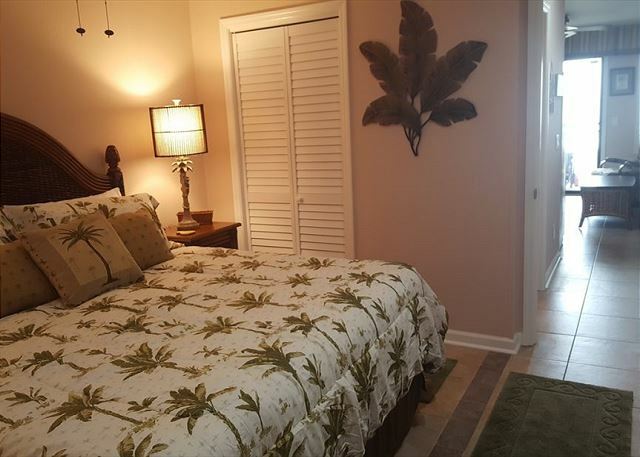 we loved this condo, perfect location very clean, well decorated. we are definatly going to stay again!!! only recommendation I have is regarding the bunk beds although there is a rail on the top bed the gap was to big for my daughter we would have loved to put her on the bottom bunk she is 3 she fit there great but was concerned she would have rolled off the bed, she is a wild sleeper. I would suggest a removable railing option to put on or make a railing to Match the top bunk but have 2 bars (2 height positions) for safety so there is no gap for arms and legs to get through. but we have no complaints we all 3 loved it, balcony was great very private beautiful view. the chairs and umbrella was put to good use that was very nice!!! best condo we have ever been too. had a hard time leaving we will be back!!! owners were fantastic they responded immediately when we were trying to book this they sent us all sorts of information which came in handy, they were very kind And worked with us on our deposit date, thanks for the great place to stay it was a fantastic week perfect weather!!!! know about thr driving there. Excellent view from the balcony. Loved the decor and view of this condo. This villa is in a great location with many shopping, dining, walking and biking destinations close by. The villa was very comfortable -- nicely furnished and decorated. We look forward to our next stay here. Loved Hilton Head and all it had to offer! The food was unbelievably delicious- the people could not have been nicer! Loved having access to the bikes. Riding along the beach was a great experience. We will be back! Waking up every morning to the outstanding view from our front porch was amazing! The rental was perfectly located. We parked our car and walked or biked every where the entire week. 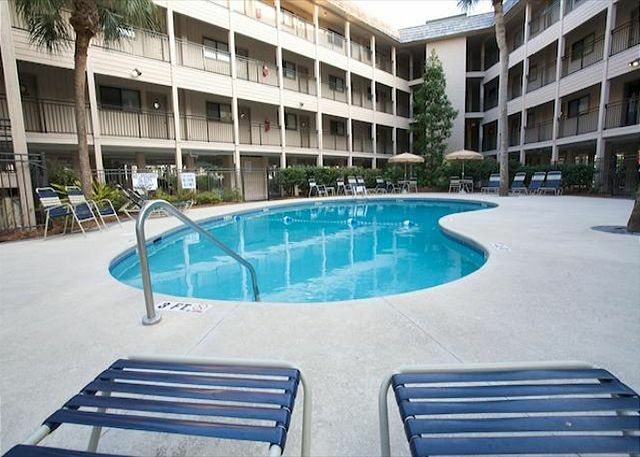 It was clean, very well maintained, and the check in was so easy. We thought we would be going out to eat alot but once we got there we bought groceries and ate every meal on our porch. It was a perfect oasis of beauty and quiet! We will be going back to the same room again!!!! A great condo on the beach. We were very pleased with our condo and thought the location was perfect for getting around the island. A five min walk down the beach to shopping and a great little bakery called the French Kiss where we had breakfast every morning. The croissants are amazing! 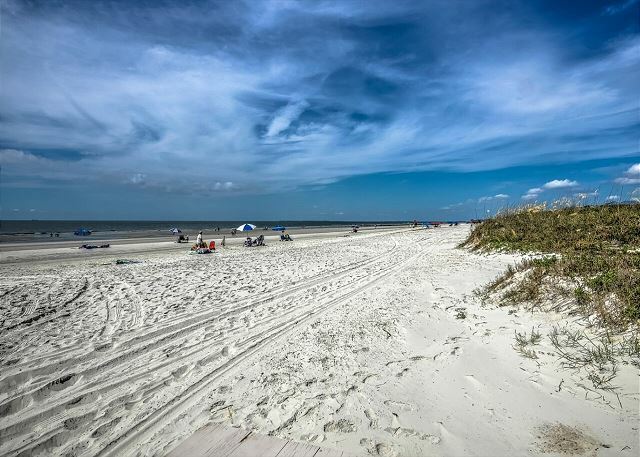 A very central location but also right on the beach. We would definitely stay here if we go back to hilton head. The Villas have been updated and in excellent condition, the grounds maintenance very well manicured. 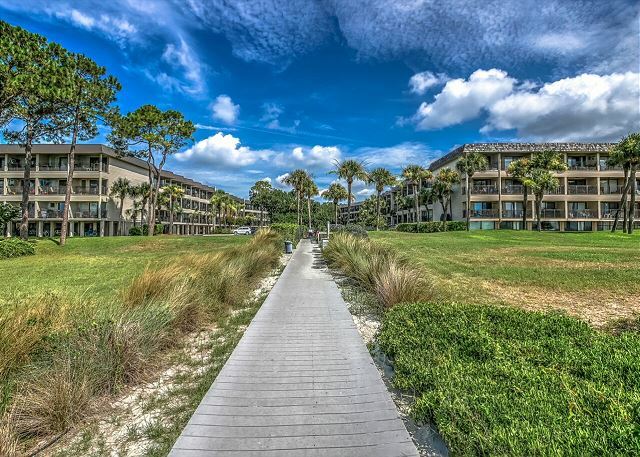 Access to the beach is from your condo thru the dunes and you there. The night life on the island is geared to suit all ages. Many convenient restaraunts. My favorite was the Salty Dog for outside evening venue. Go stay and enjoy. Owner was responsive to questions, etc. Décor was nice. Flooring (tile) was nice. Oceanfront view was great. Bed was comfortable. Kitchen dishes, pans, etc. were ample. Could have used additional dish cloths, towels. Disappointed with the deck, carpet was torn, dirty and should be replaced soon. Air conditioner noise on deck was annoying. Overall we enjoyed the facility. Nicely decorated villa, clean, great view, & big screen TV. Will remember this one for future visits. Beautiful villa on the ocean, great view,great location. We have stayed at Sea Side many times and this is the nicest yet. It could use more comfortable seating on the balcony. Enjoyed our stay a few minor problems at first but corrected by staff immediately. Great location to get to Heritage thru back gate. Wonderful view! As always a wonderful vacation! Some minor improvements needed are cleaning the fans and dark spots on carpet. I had a very nice time at this location. I will come back and request this condo. I would say that there needed to be hangers in the closets. Nice space, but no hangers, not much to complain about, is it? Carpet was stained but can understand as it was end of the season. Otherwise no complaints. There are some dirt spots on the carpeting in the Living area and bedroom. A ceiling fan on the balcony would really help to move the hot & humid air in August. A couple of hooks, to match the towel bar & toilet paper roll holder, on the back of the bathroom door would be helpful to hang things on, i.e. the clothes you're going to wear or just your pj's. Overall we really enjoyed our stay. We delayed leaving for HHI b/c we couldn't check in until 4pm. After arriving shortly after 4 we checked in an arrived at our villa. When we got to the villa it had not been cleaned and was pretty dirty. After calling Vacation Time they sent a cleaning crew right over, but it meant we could not get into our room for another hour. The only other issue was that the villa could use some new pots and pans. We didn't do very much cooking b/c they were kind of hard to get clean. The villa was well furnished and would consider staying here again in the future. the only downfall to this property is that it only has one air conditioning unit, in the living room, the bedroom has a ceiling fan but can still get kind of stuffy at night! you cant beat the beach front location, its absolutely beautiful! The unit is recently updated too! Its gorgeous inside!! 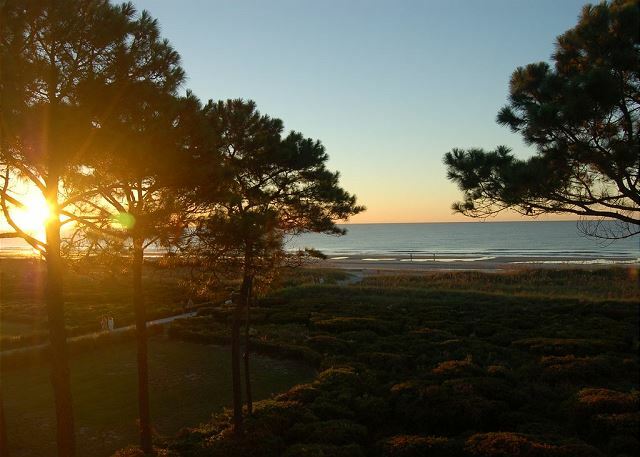 We've stayed at Seaside Villas through Vacation Time/Adventure Inns for 18 years and have noted continuous improvements. We like the location and would recommend it to any of our friends.